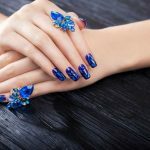 As we’re more than half way through the year, it’s the perfect time to look back at some of the most popular nail colors of 2019. 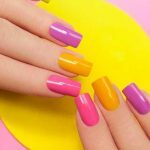 From the pages of Vogue to inspiration beauty bloggers – I’ve gathered the hottest nail colors are trending now. Moreover, these nail colors aren’t just a passing fad. They’re simplistic enough to look timeless so if you invest now, you’ll love them for years. At the very beginning of the year, it was back to basics. Simple, bright, happy primary colors were everywhere. One of the most popular shades was yellow. Here’s a fun fact, when yellow become a fashionable color for manicures the trend soon spread to fashion and even interior design. You may think that yellow won’t suit all skin tones, but trust me, it definitely does. Another hit were soft, pretty, feminine pastels. From corals to mint we couldn’t get enough of these candy shades. Pastels are often thought of as predominantly spring/summer colors but a part of the trend is to wear them all year around. So when the leaves start dropping from the trees and the weather gets colder, don’t be afraid to carry the freshness of spring with you. Sure it’s a little Elle Woods, but hot pink has been one of the coolest colors of the summer. This amazing color is reminiscent of the ’80’s but pair it with any outfit (without the shoulder pads) and you’ll look bang on trend. Hot pink was also one of the most popular colors on the spring/summer runways from Balenciaga to Marc Jacobs. I’m definitely ready for this fun trend to stay. Sheer and shiny metallics are always on trend but this summer we saw a lot of shimmering rose golds, silvers and coppers. 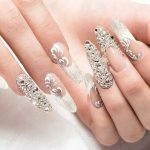 There were also super cool new applications of metallics including chrome nails, metallic ombre nails and French manicure style tips. 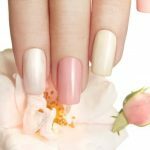 This nail color is one of the most transferable from one season to the next, and will look ultra stylish at the office as well as out on the town. Burgundy is a color that is often associated with the fall, but this year we’re going to see a deeper, more luxurious version than ever before. Think rich color that will make you want to dive straight into it. This nail color is ultra chic and the perfect way to take you into the colder weather. Here’s another stunning nail color: An enticing and interesting taupe. As we head into the fall, we’re obsessed with darker, brooding colors and taupe is the perfect way to start. It’s beautifully unusual and I urge you to give this a try. My favorite for this look is O.P.I Taupeless Beach. The ever popular scarlet red will be back this winter, and I can’t wait. It’s just not the holidays without beautiful, femme fatale nails. This is the best time of year to really invest in a deep red. Other popular shades will be a smoky red and dark moody red. Stock up on your favorites because this is one nail color that is on trend every winter. One of the more surprising new comers are ethereal, delicate winter nudes. Think everything from colors that are almost the same as your natural nails to sheer ballet slipper pink. This trend has already been debuted by designers such as Stella McCartney and it’s sure to stand out in the sea of stormy, wintry tones. It’s a winner!